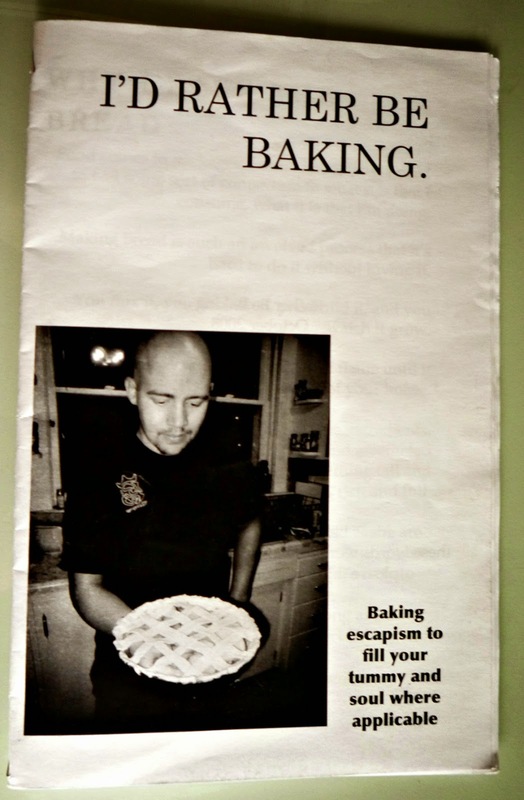 As someone who loves to bake and cook when anxious or upset I really appreciate this zine. The tagline says it all 'Baking escapism to fill your tummy and soul where applicable.' While not a vegan cookbook (as it uses eggs), there is some good information here, like the article on pie crust and the interesting apple-mango pie recipe. The recipe for bread seems very forgiving and easy to approach. Here is my favorite quote from the zine... "Baking to me is creating, shaping, forming, it's a way to turn feelings of uncertainty into tangible, useful things."